SAN FRANCISCO, CA--(Marketwired - Sep 16, 2014) - In a near infinite stream of content available on the web, finding relevant and personalized content poses an increasing challenge for consumers. However, what can be a struggle for users is at the same time a great opportunity for innovative companies. To date, discovery has been a huge untapped market, but now San Francisco-based Theneeds, a worldwide leading content discovery platform, has found the right formula to enter that market. Their brand-new service helps users discover what is relevant to them across their interests, by collecting, ranking and filtering the best online content and matching it with the right audience. Launched in late 2013, this concept has proven to be so successful that the company just announced that it surpassed 10 million pieces of content delivered by its proprietary discovery engine. "Reaching this milestone is a big validation of our efforts in building the best possible technology to help people discover more of what interests them. The web is overwhelming and disconnected. The game has to change," says Gabriele Pansa, CEO and Co-Founder of Theneeds. "Services like Flipboard or Pulse are partial, user-curated solutions, but a lot more can be done in the content discovery space by applying advanced Artificial Intelligence. Our company is well-positioned to provide users with a more relevant and streamlined discovery experience, which is why we are seeing our user base growing at a rapid pace. The web is getting more crowded than ever and we see a huge opportunity in making order in this chaos. Relevance, ranking, filtering, personalization, and serendipity, are just some of the key elements of the challenge we're facing." At the core of the concept is the power of discovery. Search works well if you are looking for something specific, but if you just have a general idea or interest, or don't realize you want something, the results are very likely to be dissatisfying. Using Google for that purpose is a daunting task. Discovery platforms on the other hand help you uncover information you were not aware of and expose content you did not know you wanted to see. The results are interesting and entertaining, letting you experience the web in a new way that unleashes the real power of information. 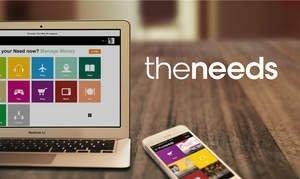 Theneeds has found a way to make the discovery process a super-simple, user-friendly, and engaging experience. It is almost like opening a magazine, where a friend who knows you well already did the work of selecting the best content for you, knowing what you will be most interested in. Getting started is very easy: browse as a guest user if you just want to discover great content trending from all over the web, or sign up and select your main interest categories. Based on your selection, along with an analysis of your Twitter or Facebook streams and interactions, the discovery and AI machine captures within seconds what you may be interested in and you will start seeing articles, news, videos, and more, right away. As you browse through the content, the algorithms running in the background will take care of the rest, continuously learning based on both external and internal signals, from the web at large and your activity and behavior, to further improve your experience. The company was launched in 2013 by technology executives Gabriele Pansa, Emanuele Cesena, PhD, and Luca Albertalli; and, since then has quickly become a leading content discovery platform. Theneeds now covers hundreds of categories, organized in 13 channels, namely Be Informed, Travel, Watch, Learn, Read, Shop, Follow Sports, Play, Listen, Interact, Eat, Work, and Manage Money. To find out more or try it out yourself, visit www.theneeds.com or download our iPhone app.